Housed within a beautifully restored heritage-listed building the intimate, boutique style five-star Radisson Blu Plaza Hotel Sydney creates outstanding unique events of relaxed elegance, style and perfection. A total of 8 meeting rooms provide more than 500m2 of space ideal for corporate gatherings, board meetings, social events, Christmas parties or private dinners for 2 to 200 guests. A choice of contemporary or heritage style rooms, attention to detail, personalized service, delectable menus designed to suit your tastes and budgets, state-of-the-art audio visual and customized packages combine to present Radisson Blu Plaza Sydney as one of the leading venues in the city. Radisson Blu Plaza Hotel Sydney is nestled in the CBD occupying a prime landmark position on the corner of Pitt, Hunter and O'Connell streets in the heart of the city. 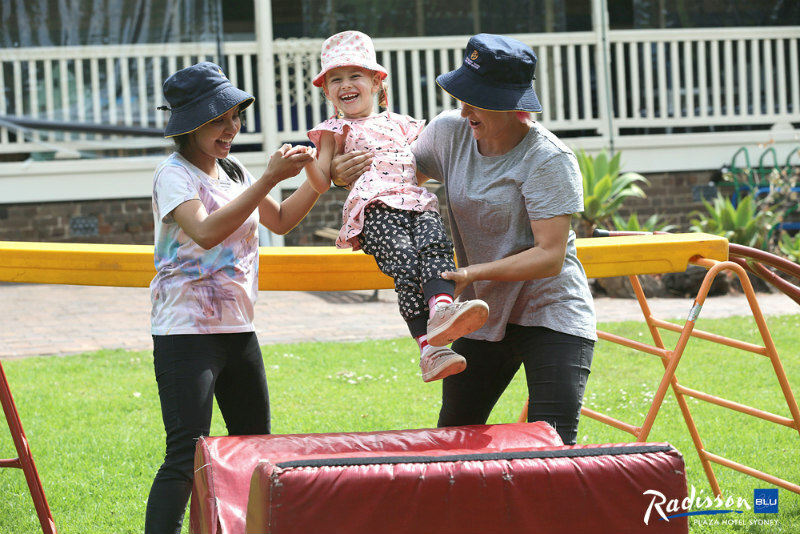 Famous Sydney icons such as the Sydney Opera House, Harbour Bridge, historical Rocks area, bustling Circular Quay and the Botanical Gardens are only a short stroll away. Major shopping precincts, theatres, nightlife, galleries and museums are also nearby. The Convention Centre is just a 15-20 minute walk away. Train, bus and monorail stations are located nearby with taxis available at door. This distinctive hotel provides the perfect base from which to explore the best of Sydney. The hotel features 364 exceptionally sized stylish guest rooms including Business Class Upgrades avaiable. The spacious guest rooms are some of the largest in the city. Choose from a range of room types, all furnished in welcoming tones with upscale amenities. Guest rooms feature a large moveable work desk with ergonomic chair, complimentary internet access, iPhone docking station, remote control flat screen television with cable and movies, in-room safe, tea and coffee making facilities, mini bar, 24 hour room service, waffle bathrobes, full size hairdryer, separate shower and extra deep bath, iron and ironing board and direct control air-conditioning. A number of adjoining rooms and accessible rooms are also available. Our Chefs can create delectable menus designed to suit your taste and budget for your event. Experience Sydney's hotspot, The Fax Bar, serving beer, wine, sprits, high teas and lunch and dinner items. The Lady Fairfax room is where we hold our extensive daily buffet breakfasts, but after noon, can be hired out for private banquets, events and special occasions. The Health Club is located on the Mezzanine level and features a 15m indoor pool, spa, steam room and gym. A range of massages and beauty treatments are also available. Our Concierge Team at Radisson Blu Plaza Sydney can assist with arranging tickets to Sydney attractions, tours of the region and much more. Encore, Australia's principal event staging company are proud to be the on-site at Radisson Blu Plaza Sydney and can help you deliver highly professional business events, conferences, exhibitions, product launches, gala events and corporate functions. With a customised audio visual and communication system available in all function areas, you can be assured of a cutting edge conference technology solution. Event styling is the art of creating a look and feel for your event, making it unique and Encore can deliver creative event ideas to meet any brief. Radisson Blu Plaza Hotel Sydney is arguably the best location for both the business and traveller. The hotel offers all of the expected amenities of a five-star hotel and service that is paramount. The Business Class Lounge is an exclusive split-level haven located on Level 10, which serves a deluxe hot buffet breakfast, daytime refreshments, evening drinks and canapés and much more. 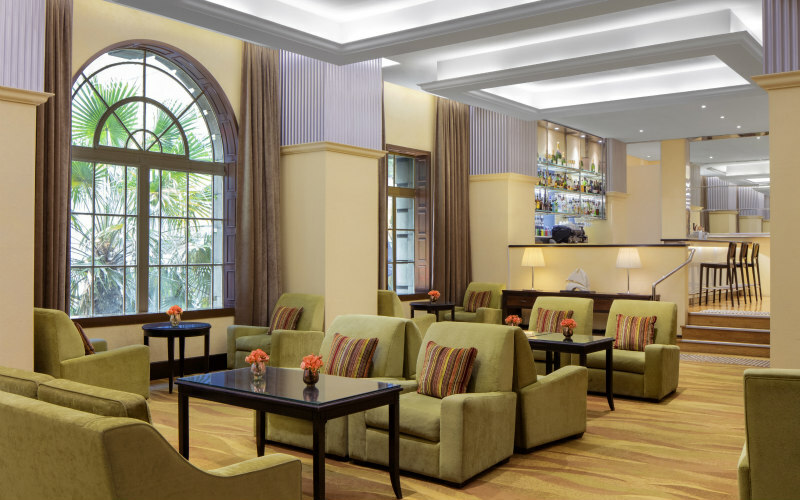 Access the lounge by staying in a Business Class Room or by paying the Lounge supplement with any other room type selected. A Business Centre is located on the Mezzanine level and provides access to computers, printers, facsimile, internet and secretarial services. The hotel also provides complimentary internet access for all hotel guests. The Radisson Blu Plaza Hotel Sydney is introducing their latest bar promotion at their Fax Bar, with $1 from each item sold being donated to the Christchurch shooting victims in New Zealand. 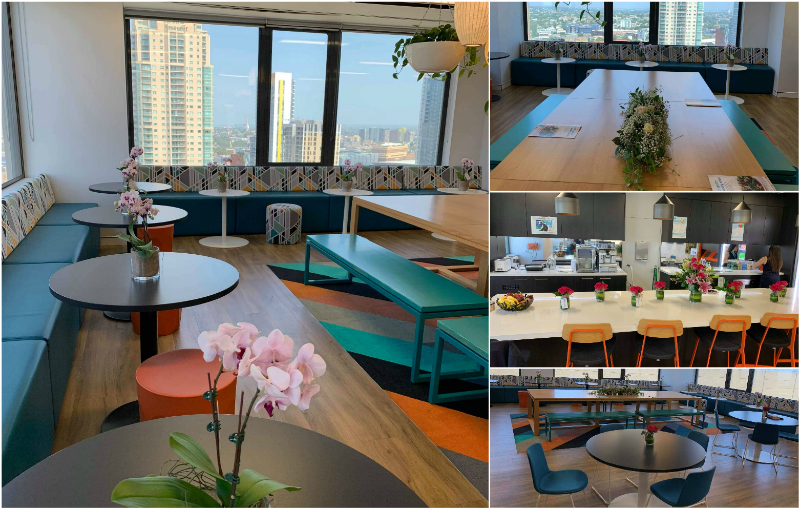 Last year, Radisson Blu Plaza Hotel Sydney ran a competition on EventConnect where entrants could win an office full of flowers. Judi, the entrant from the Sydney Cubic office was the lucky winner, with two Radisson Blu staff organising an extravagant flower delivery to be arranged in their staff kitchen and break room. 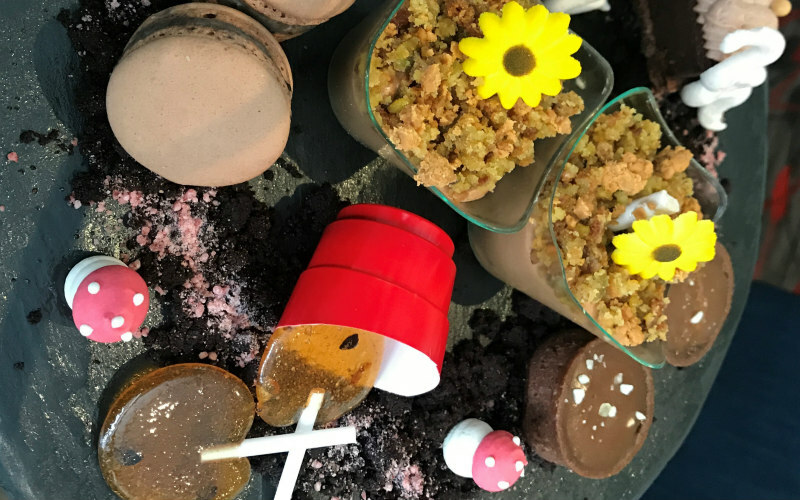 Radisson Blu Plaza Hotel Sydney is launching their new Chocolate High Tea for chocolate lovers and sweet tooth's alike, to coincide with the Charlie and the Chocolate Factory show in town. Radisson Blu Plaza Hotel Sydney is celebrating after a successful night at their 8th Annual Gala night that was held last Friday the 7th September 2018.